Continuing to work on it slowly. 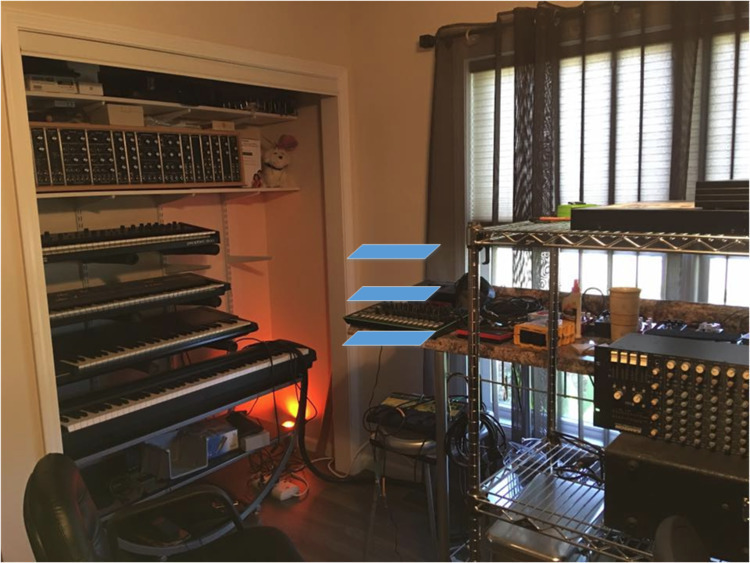 Going with the bottom picture of the modular angled... although I'll raise it up closer to the bottom of the Korg DSS-1 synth right above it and it will be on brackets like the Korg is with something propping the angle. In the top picture - the Juno 106 currently on the shelf will go back to being on brackets with pipe wrap (insulation for pipes from any hardware store) - I've had this pipe wrap on for 4 years and it's help up well. The pool noodles work great for propping up the back - although my wife has another idea on using a short bracket attached to the wall to prop up with. 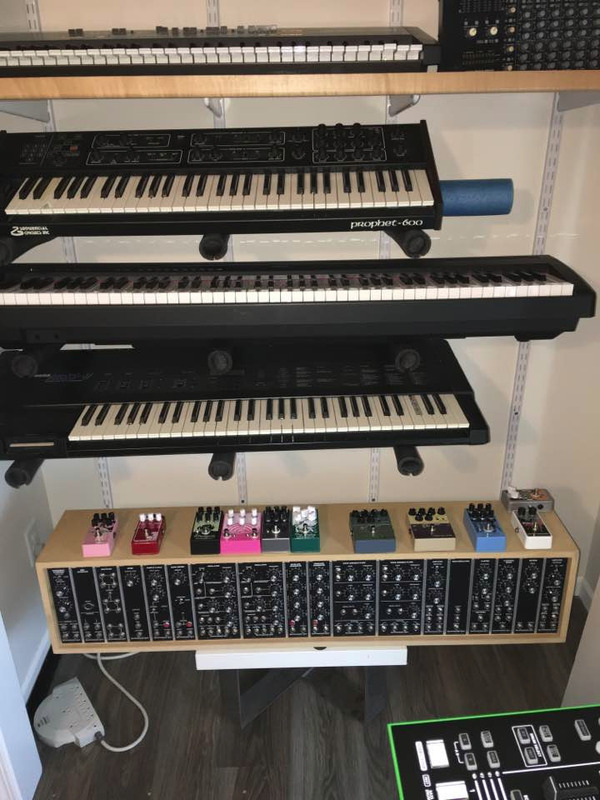 To the right of the Juno and Prophet will be new standards installed and brackets for shelves to hold my rack mount units (the "new to me" samson stereo mixer, my old faithful Korg SDD-1200 digital delay I've had for 30 years, and a Lexicon Vortex). 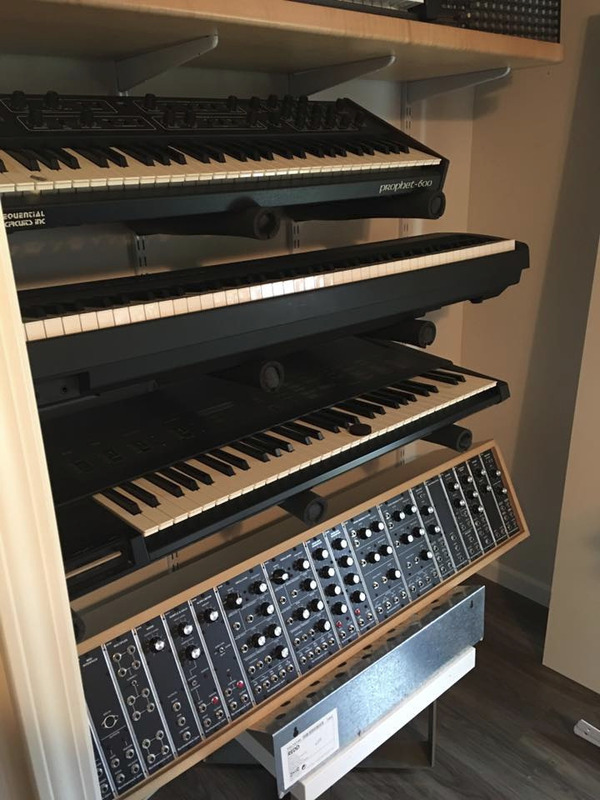 On a second shelf will be my Roland Space Echo. I think I've decided to just do more shelves, very shallow ones for my guitar pedals. I have a little space between the outside of the closet to the curtain covering the windows. That curtain is a harder plasticy material almost like metal and is mesh (kind of like a window screen). Looks kind of industrial up close. Anyway - the blue things I added represent where they will go. Note - this is a "before" picture I took to show how it was before I started ripping it all out.